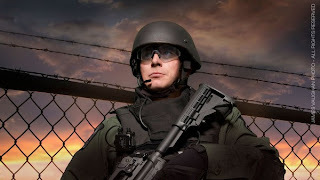 Fast-Tint Protective Eyewear (FTPE) is a new type of military ballistic eyewear. The glasses use electronic LCD technology to lighten or darken the tinting of the lenses in response to varying light conditions. On an operator fighting outdoors in bright sunlight, the lenses will be at their darkest. But when that same operator enters a dark room to clear it, the lenses will turn clear and colourless. Although photochromic lenses already exist (like the well-known Transitions brand of lenses), these can take anywhere from 10-30 seconds to go from one extreme to another, which is far too long for an operator who needs to move quickly from one environment to the next. FTPEs are perfect for warriors needing to make split-second decisions, because they take a split-second to change tints. Less than half a second, in fact. A British newspaper called The Register recently reported that the U.S. Navy SEALs have deployed 30 FTPEs in combat, with another 100 units on order based on their success so far. While it'll probably be a few years until LCD sunglasses are available to the average consumer, that day will come. And following closely on its heels will be the day when that same tech will be available in Paintball goggle lenses. 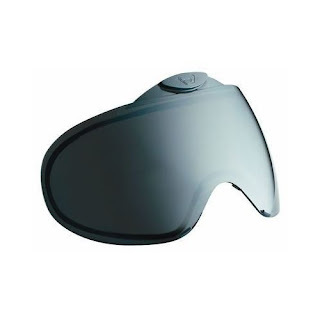 Picture being able to go from a chrome lens in a sunny outdoor environment at your field, to charging into a dark fortress, while your goggle lens automatically adjusts its tint to clear to suit the lighting conditions. You'd be able to play in the sun, indoors, and well into the night, all without swapping out your lens. Far-fetched? We've seen military tech filter down to civilian sporting applications plenty of times, and I think this would be no different. When you think that years ago night vision technology of any kind used to cost thousands of dollars, but now it's available in kids' toys for around 50 bucks, you can be reasonably certain that in a decade or so we'll have FTPEs of our own mounted in our goggles! Props to my buddy Mike Q for bringing FTPEs to my attention!